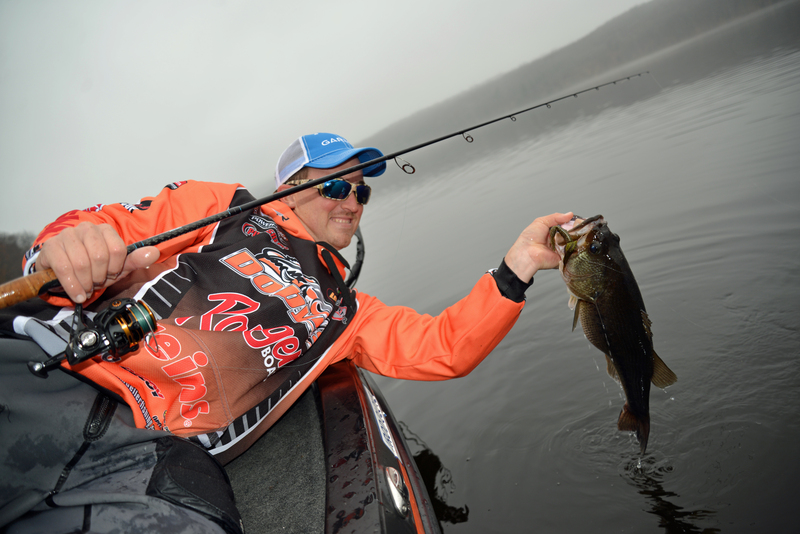 Getting off the bank and fishing slow are two keys to catching big bass right through the winter. Bass pro Paul Mueller has it down at Candlewood Lake, CT. Photo by Tom Schlichter. Successful cold water fishing for bigmouths is vastly different from targeting them in the heat of summer. Gone are the weed mats that begged for your casts in mid-July, the easy to spot wakes of fish moving in the shallows or near the surface, the aggressive surface strikes that sent your heart racing and hopes soaring as you prepared to let fly your next cast. With water temperatures at this time of year trending anywhere from 50 degrees to just above the freezing mark, the metabolism of cold-blooded predators like bigmouths and even sunfish, perch and pickerel slows down substantially and, in general, so does the bite. If you want to continue to battle bass under such conditions, you’ll need to try some different tricks. One that works exceptionally well is jigging small soft-plastics with ultralight tackle. Now, before we get started, let me begin by noting this late-fall and early winter action tends to work best in deep water. Thus, you’ll want to avoid shallow, dish-pan ponds and look for bigger waters with a substantial bit of water in the 8- to 12-foot range at a minimum. That said, I’ve jigged winter bass in as little as two or three feet of water, and commonly in five- to seven-foot depths on some lakes and ponds. The fish are where you find them and, even in the dead of winter, they’ll move around a bit so keep in mind that being a little flexible in your approach is rarely a bad idea. 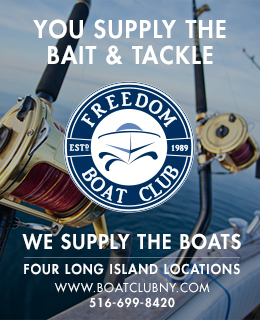 It’s always tempting to go in tight to shore, but bigger fish are often in deeper water during the winter months. Photo by Tom Schlichter. With your quarry having a slow metabolism at this time of year, and the water being gin-clear since most of the zooplankton has died off, this is a good time to think small. Many freshwater anglers are familiar with summertime jigging using heavy-headed, big skirted jigs to punch through the weeds. 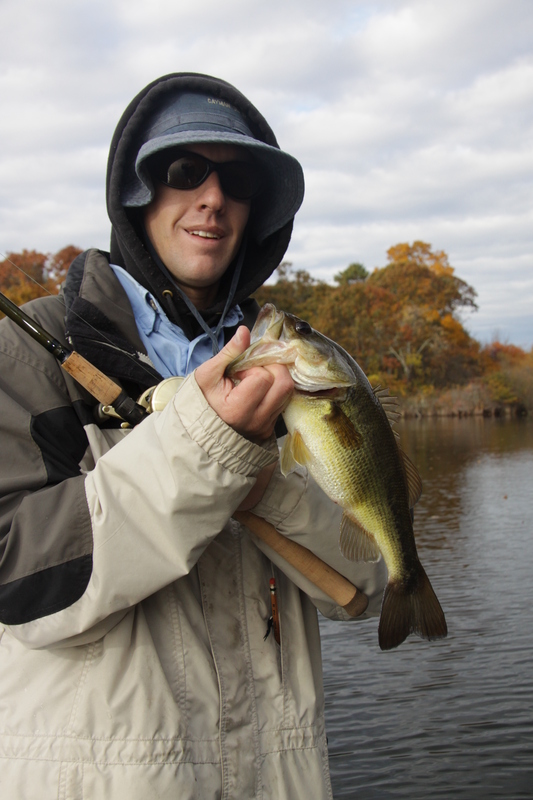 Think of light tackle, cold water jigging as being the polar opposite. Lightweight trout rods and four-pound test fluorocarbon line is what you’ll need to scale things down appropriately. Consider 1/16-ounce Strike King Bitsy Bugs or Squirmin’ Squirts, a two-inch Keitch Tiny Spider, or a small home-tied hair jig weighing 1/32 to 1/8 of an ounce. Additional solid choices include a 3/16-ounce football jig with two-inch soft plastic paddle tail, and 2.5-inch Mann’s Sting Ray Sassy Grubs. With any of these lures you are likely to score plenty of bluegill, pumpkinseed, crappie and perch as well, but moving out to deeper water helps isolate the bass. As a rule, I prefer neutral colors for cold water jigging. Olive and black work well, as do various shades of brown from time to time, especially on lakes known to have crayfish. Combos of black and blue, bluegill patterns, and bright white (although far from neutral) rank among my favorites. The combination of lightweight lures with slow sink rates and ultralight spinning rods with fluorocarbon line allows for a super-natural presentation. Use the lightest jigs on calm days or in shallower water, the heavier ones when the wind starts blowing or you move out into double-digit water depths. For rods, an ultralight trout setup works well, although you can’t go wrong with a freshwater bass outfit designed specifically for light tackle jigging. The lighter the line you work, the smaller the jig you’ll be able to manage, but make sure your reel has a smooth drag. You can hook some pretty hefty fish using these tiny jigs and the biggest of them can turn out to be wrecking machines despite a slow metabolism. 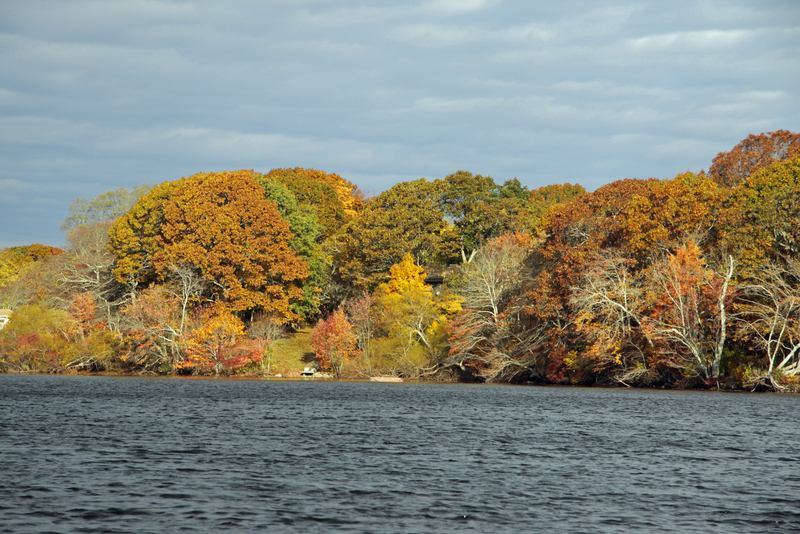 Even a windless day can be chilly on the water. Be sure to dress so you can stay out for more than an hour or two. Photo by Tom Schlichter. As a rule, cold water bass tend to strike softly. Crawl or walk your lure s-l-o-w-l-y across the bottom, feeling for every little rock, pebble or piece of small structure. You’ll want to bump whatever you feel on the lake bed and then lift the jig softly just an inch or two. Most times, you’ll feel a little “tick” or added weight as a fish picks up the lure instead of a solid strike or even tug. If the line simply feels a bit heavy – or too light – it’s time to tighten up and set the hook. Initially, you’ll probably miss a few strikes with these small lures and gentle presentations simply because the pick-ups are difficult to recognize. Often, the line feels like it has garnered a little bit of weed – which is unlikely at this time of the year since most weed beds have long since faded. If anything feels different than normal, go ahead and swing away. In the same vein of thought, you might want to target panfish at first, just to get a good feel for the pick-ups. The bass this time of year bite pretty much the same way. In terms of starting points, I like to head to deep water right out of the gate. When fish are holding well off the bank at this time of the year they tend to school fairly tight. That can make for some exciting action since stacked fish are often more aggressive than loaners and it is possible to wake up the competitiveness of an entire school simply by hooking a fish or two. If the deep water action fails to materialize, however, there’s no shame in searching the shallows. Key on areas that might be slightly warmer than surrounding waters, such as boulders, bulkheads, inflows or outflows. Rocky bottom, if you can find it, is also a good bet since it often holds small baitfish or even crayfish, and fodder for bass is at a premium this time of the year. With a little luck, our local lakes and ponds will be sporting plenty of ice as winter takes its hold. If not, however, consider taking the fight to the bass in open water. Just be sure to dress for warmth, wear your life jacket (it’s the law), go small and slow your presentation to a crawl. All it takes is a solid hook-up or two and your heart will start pounding with excitement – even on a chilly December or January afternoon.